It’s 2k16 and probably the right time to rise above the traditional & monotonous silver and gold jewelry. Well, what better than Swarovski when it comes to that?! Specializing in crystal jewelry that shines from miles away and puts even the most expensive of diamonds to shame, Swarovski stores are a delight to shop in. We were left reeling for more when Swarovski thought of bringing in Diwali a little early with their latest installation called Sparkling Flame which has been inspired by the stunning Allure Tealights from the Swarovski Home Decor collection! 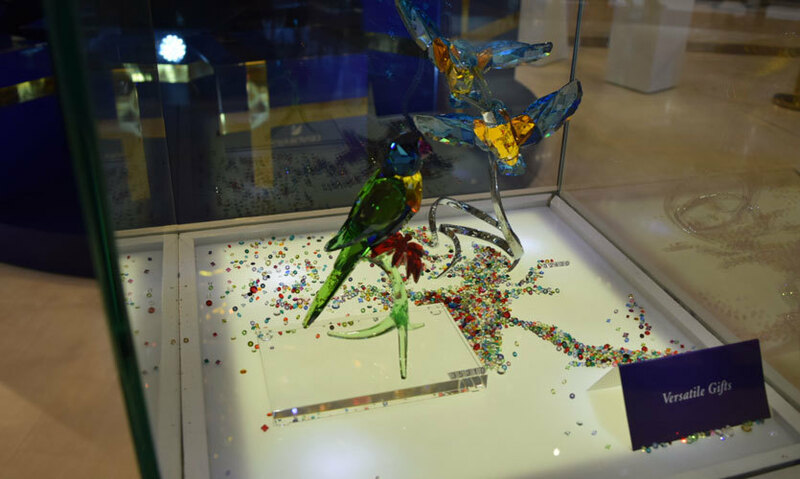 The name Swarovski resonates a class, a quality that is unprecedented, and showcases designs that are rarely matched by other designers in the world. From its watches to its bracelets, from earrings to customized center pieces and from glittering stationery to neck pieces, everything spells out a woman’s best friend! Here’s what you can expect from them this Diwali! The Diwali-inspired Swarovski structure consisted of nearly 30,000 (woah!) crystals and stood proudly at a staggering height of 28 feet, and was the perfect way to showcase the gleam of the festival of lights. The unveiling was followed by a live piece by Sukhneet Wadhwa AKA Ms Coco Queen, the celebrated fashion and lifestyle blogger who tried on the latest Swarovski designs and looked all suave in ‘em. Beautiful fashion bloggers Shreya Jain and Mallvika Gupta were also in attendance to cover the event live. The unveiling of the Sparkling Flame concluded with a lot of fanfare as the crowd cheered and the spotlights showcased the shiny stand. 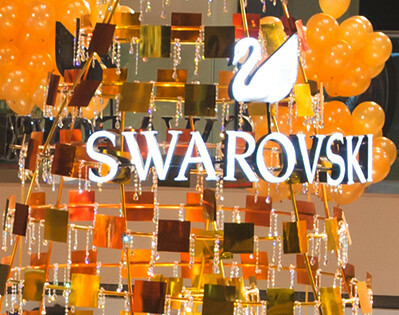 Swarovski’s MD Ms. Sukanya Dutta Roy and the installation designer, Mr. Alex Davis - a world renowned artist, unveiled the beauty and gave the sparkling night a lot to cheer about. After the end of the glitzy affair that it was, coupled with the glowing faces of the organizers and also the women who clicked themselves with the jewels, we definitely had good reason to believe that crystal jewelry is indeed the latest fashion trend that is doing the rounds! So, this festive season head over to the DLF Mall of India for a mesmerizing evening, and get yourself personal instant Polaroid pictures clicked in front of the installation, courtesy Swarovski.